Most people don't think of fall wear for the Caribbean. When I say fall I mean heavy jackets and cozy cardigans, thick socks, knits, knits and more knits. Sure Caribbean designers have their fall collections but most of us budget fashionistas cannot afford their pieces . Some of this falls hottest trends are not hot-weather friendly but being the chronic online window shopper I am, I came across a lot of pieces that can be worn in our tropical weather. These pieces are both plus size and on-trend. They are either lightweight or the material is very breathable making it perfect for Caribbean wear while still being hella stylish. Since I live in the Turks and Caicos most of the pieces I chose for this post is what I would wear or have worn. And most is from New Look since I find their clothes to be of a high quality and they hold up best in this climate. 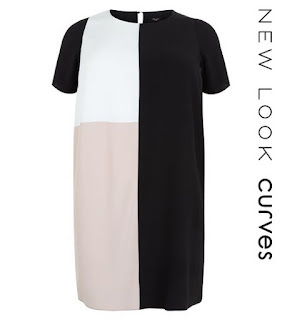 This dress is one of my favorites from New Look. The color block design is really on trend for fall. It is as lightweight as the other dress and can be worn as a perfect work piece. This dress would also be perfect for a dinner date when the night air has cooled. It is made of polyester but is breathable. The colors and design is perfect for fall. Pair with some strappy heels or booties, knee high strappy sandals, and a chunky necklace and you're good to go! 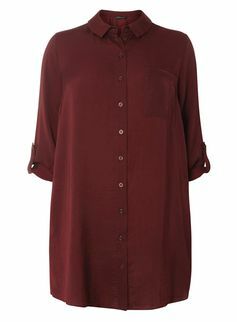 Lovely top for a nice fall look as the color is very on trend. Without a doubt this would wear well for my Caribbean gyals. 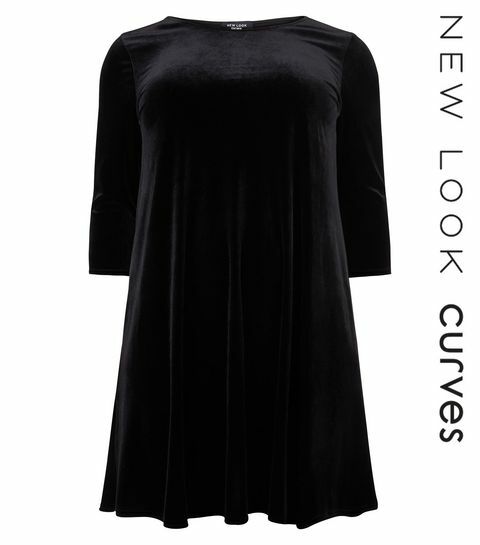 The cold shoulder style will provide a lot of coolness if worn on a particularly sunny day. You can pair with a simple blue jeans and light jewellery. 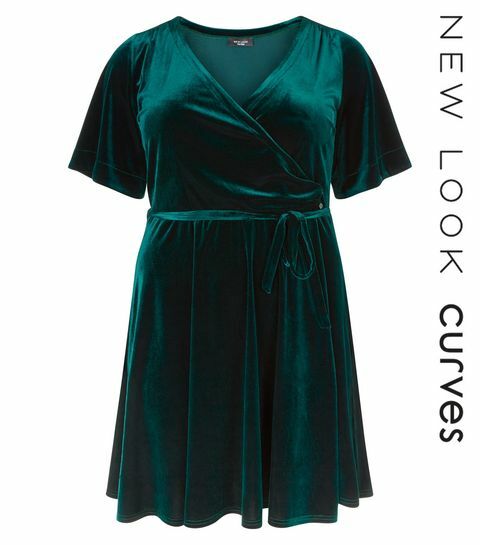 Another velvet dress from New Look that will be a good item in a Caribbean fashionistas closet. So light and flowy this dress will work so well as a party dress. The faux wrap design flatters every shape. It can be dressed up with matching jewellery and strappy sandals or down with tights, combat boots and a leather jacket. 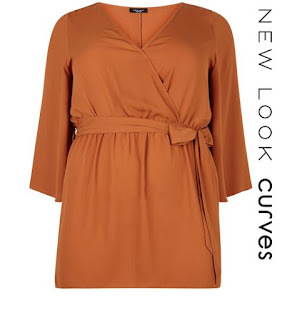 This top is so lovely I couldn't leave it off my (New Look inspired) list. The colour reminds me of pumpkins and pumpkins are a symbol of fall, right? If you too want to experience the wondrousness of fall in our tropical paradise you can try by wearing this lovely top. Pair it skinny jeans and some gold jewellery and ankle boots. This top is from Dorothy Perkins and is so cute! I love burgundy at anytime of the year but especially when if fall because it just seem more appropriate. 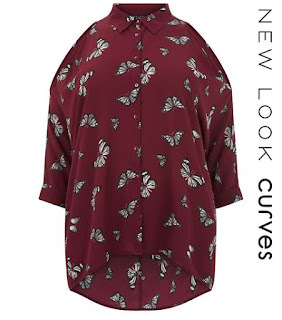 The shirt is flowy enough to be cool and the fabric seems heavy enough to keep you warm when needed. I would love to wear this with a pleather leggings and combat boots. 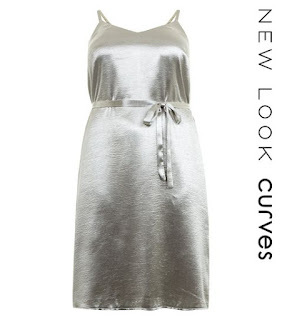 Metallic dress! So futuristic and fun for fall. A burgundy or black sleeveless jacket would be a great way to tone down the shine if you find it too shiny. 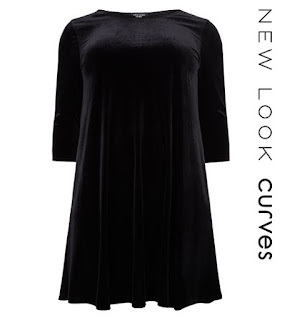 Also ankle boots or combat boots would pair nicely with this dress. What do you think? Would you wear any of these in your tropical home land?